No Insurance? No Problem! 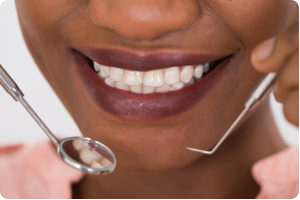 Flossmoor & Homewood, IL’s Favorite Dental Office Can Help! At the Center For Dental Excellence, we don’t believe anyone should ever have to forego necessary dental treatment simply because they don’t have dental insurance. To help our patients without insurance, therefore, we offer our own in-house dental care savings plan. For patients who wish to have more than two dental cleanings per year, we recommend our Comprehensive Plus plan, which provides FOUR free cleanings per year! When compared to paying for each visit out of pocket, you can expect to save significantly by becoming a Dental Savings Plan member. With the Comprehensive Savings Plan, the typical patient saves $150 per year on cleanings, x-rays, and exams — and that doesn’t even begin to cover the money saved by patients who seek out additional dental treatments and procedures. Those savings go up even more with our Comprehensive Plus plan, where patients save an average of $200 per year! To learn more about the available benefits of our savings plan, as well as information about how to become a member, download our Dental Savings Plan Brochure with the link below. 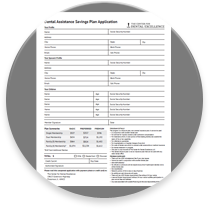 When you are ready, print the application and bring it to the office. If you have any questions, feel free to call and speak to one of our friendly dental team members at 708.798.1234. We look forward to having you as a member of our Center For Dental Excellence family!